In a recent research study, conducted in November 2009 amongst senior managers and leaders in (largely) manufacturing organisations, 75 per cent of people agreed that the depth of the current recession has resulted in significant structural changes to their markets. Such strategic shocks create new landscapes of winners and losers in their aftermath. Many fleet managers have survived the recession by either doing more with less or putting off doing anything at all. For example a key focus for many forklift users over the last 20 months has been to rationalise the fleet, with fewer trucks producing the same (or more) work. Typically this is achieved by increasing the capacity rating of trucks used, standardising equipment (i.e. attachments) or by opting for a different fleet mix. This presents an interesting challenge for the dealer, who has to move from selling equipment to becoming a commercial ‘advisor’ for the customer. Materials handling suppliers need to understand the cost structure of their customers’ businesses and think innovatively about how it can be lowered. This not only involves looking at hours and usage rates, but it can mean reviewing the entire application with a fresh pair of eyes, and thinking creatively to present a choice of solutions to the customer. This presents a challenge because the wider aspects of the materials handling operation need to be considered, such as battery management, racking, pallet movements, goods in and out operations. Quick wins can often be made on standardisation of equipment, such as attachments. A food manufacturer recently standardised its rotator across three trucks, instead of having it dedicated to a single truck. This meant that wear and usage was spread, recovery time and uptime were improved and the company’s waste handling operation was optimised. The NTR30N delivers improved operator ergonomics and productivity levels. According to Cat Lift Trucks Dealer, Crepa, this makes the dealer’s role bigger and more interesting. But it also requires a different skill set. In addition to good interpersonal skills, product and industry knowledge, account managers need to be flexible and adaptable and have good creativity and problem solving skills. In fact, according to the research, one of the main predictors of success for any company moving forwards in the new post-recession world is the ability to adapt to changes in customer needs. Nearly three quarters of respondents felt that lack of flexibility, innovation and creativity in the workforce were the greatest risks to the future success of their businesses. So a new set of skills is required to collaborate, create value and innovate to retain and develop profitable and loyal customers. 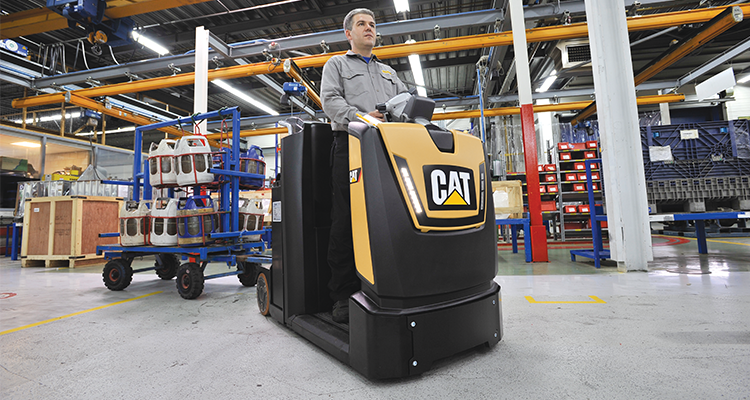 This skill is evident across the Cat Lift Trucks dealer network and greatly helped by their willingness to work collaboratively as a true partner with customers. The catalyst for this often comes from seemingly ‘difficult’ customers; Lean organisations, in particular, are focused on improving key processes and using fewer resources, to continually improve customer value. Naturally they demand the same commitment from their suppliers. For example a large global car manufacturer has a fleet of 90 Cat tow trucks in a RoRo receiving facility at one plant. The previous system did not achieve the company’s efficiency goals in terms of number of operator movements and resulted in operator fatigue. Its new Cat NTR30N fleet has been able to deliver improved operator ergonomics and productivity levels that contribute to the plant’s lean goals. Crepa believes that taking this type of improvement to the next stage, could result in development of a ‘supertruck’. This type of ‘supertruck’ can also be achieved through good battery management. In 2009 the sales of electric counterbalance machines outpaced IC engines for the first time in recorded history. Intelligent battery management across an electric fleet can mean a four-fold increase in shift life and therefore productivity. 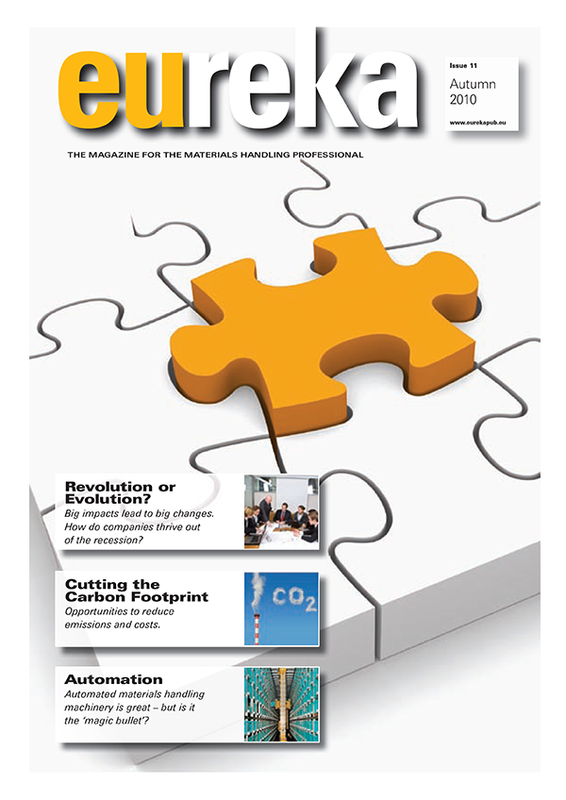 Whatever the future holds, whether it is the inevitable march of lean, the clamour for sustainability, a post BP drive for safety compliance, one thing is certain: dealers need to be able to adapt to their customers’ constantly changing needs. The research concludes that this all boils down to skills, we need a paradigm shift in our models of skills and management to survive in the new post-recession markets. Are you ready for the revolution?